Enjoy a scenic drive up to the White Pass Summit breathing in the beauty of the Skagway valley and combined with a revitalizing private yoga session back in town. 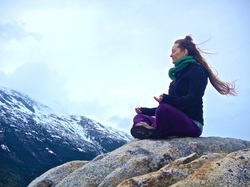 Experience Skagway's ONLY yoga tour! Enjoy the spectacular beauty of the Klondike Highway making photo stops up to the White Pass Summit and then return to Skagway for your own private yoga session with a certified Yoga instructor. Start your day off with the beauty and serenity of nature before the big buses start ruining the zen of it all! Be the first to the top of the most beautiful summit drive in North America and breathe in the perfection in all directions. When you return to Skagway you will enjoy a private one hour Yoga session at the Skagway Rec Center with one of Skagway's finest yoga instructors who will tailor the session to your level and comfort. Those in your group who do not wish to participate in yoga may enjoy a work out at our fine Rec center or be dropped off in town or back at the ship. You will be done early enough to take that helicopter flight, train ride or hike and float, but you will be the most relaxed and happy person on those afternoon tours! Yoga helps us all connect with our selves and our surroundings in healthy new ways and a yoga morning will help you start your Skagway experience like no other. Tour is 3-3.5 hours. Van holds 6 passengers. Vehicle rate plus instructor is $400. 7-8am departure depending on daily yoga room schedule of availablity. Fill out the contact form below or you may call or email for more information on availability as we will be coordinating with the yoga instructors busy schedule as well as the yoga room availability. We are still working out details with the Municipality for this option and will send updates when details are finalized on May 9th. Be sure to leave the date you are in port and which ship you will be on: 907-612-0291or skagwayprivatetours@gmail.com. Experience the soul of the land without constantly going, going, going. Enjoy a spectacular drive to the White Pass Summit and choose your favorite scenic location to settle into a meditation practice in one of the most beautiful places on earth. Savor the wind, the smells, the sounds and the feelings this land offers to those who stop to take it all in. You may choose your own meditation practice or simply just sit and stare and let the land take you to a place of serenity. This is a magical place in all its rugged beauty and sometimes we find the best of ourselves when we stop to savor where we are, right now. You came so far, why not BE here for a little while. This tour is offered in a luxurious Limo Van* so no matter what the weather is like, you can find your zen in comfort and free from pesky bugs if the wind stops for some strange reason! You may find a precious spot outside or in the van. 3 HOUR SUMMIT TOUR MEDITATION OPTION $400*. 4 HOUR YUKON SUSPENSION BRIDGE OPTION $500*. This option would take you approx 10 miles beyond the summit and as far as the Yukon Suspension Bridge. The Yukon Suspension Bridge does have a cafe, gift shop and dining hall with bar for those who don't want to spend all their time in zen... admission fees to cross the bridge would be additional to this price. Meditation would be nearby and time at the bridge determined by duration of meditation and other unknown logistical factors. THIS TOUR IS A GREAT OPTION FOR THOSE INTERESTED IN THE YOGA TOUR WHEN THE INSTRUCTOR IS NOT AVAILABLE. *limo van normal rate is $200/hour so this tour is a luxury experience at a discounted rate. A zen of a bargain. Save $200 or $300 on the normal limo van rate for 3 and 4 hour tour offerings. tuesdays and thursdays we offer longer yoga tour options! For those interested in the longer tours to the Yukon border or Emerald Lake we offer a 5 hour Yoga Morning Yukon Tour and a 7 hour Yoga Morning Tour to Emerald Lake. Tours begin at 7:15 from the pier and include a mini tour of the downtown. We will drop off at the Skagway Rec Center for the hour long morning Mindful Vinyasa Yoga class with Rec Center director Katherine Nelson. The Mindful Vinyasa Flow class focuses on increasing strength, flexibility, and balance while reducing stress and tension with a conscious and highly energizing practice that is guaranteed to start your tour day off perfectly. Those in the party who do not wish to attend the yoga class may work out in the weight room or upstairs with the cardio equipment. After class we will begin the driving portion of your Skagway experience and enjoy all that the Yukon Tour or Emerald Lake tour have to offer. 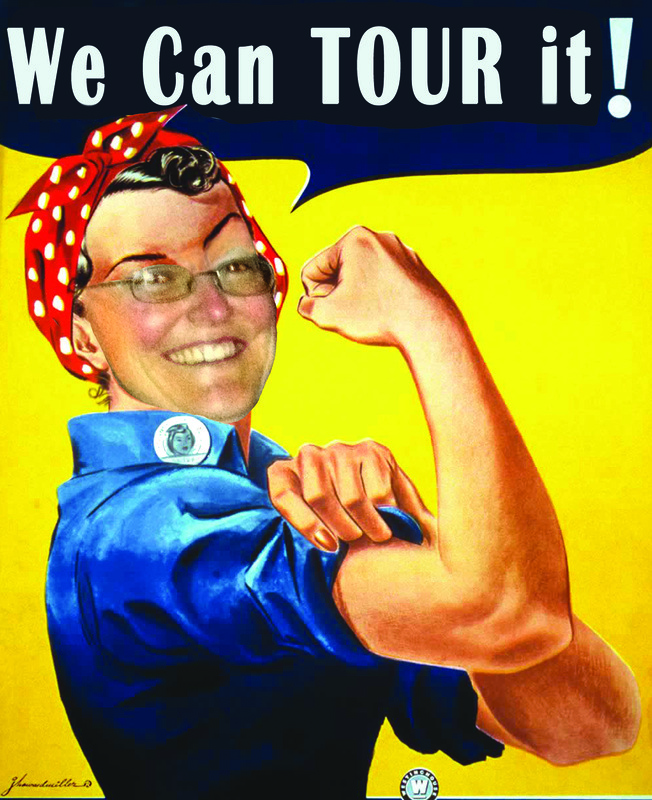 Experience Skagway like a local while working out together building your practice in a unique Skagway experience. The 5 Hour Yoga Morning Yukon Tour is $650 for the vehicle and rec center admission for up to 6 people total. Email skagwayprivatetours@gmail.com or call 907-612-0291 for more information.